Variety reports Chris Columbus will be the creative producer for a new Scooby-Doo animated movie. Warner Bros. and Warner Animation Group (WAG) expect to release the movie in the first quarter of 2020. Columbus is currently working on a Gremlins reboot. During production, Warner Bros. discovered Columbus’ love for their animated characters and brought him on board. Columbus will be working with director Tony Cervone. Kelly Fremon Craig wrote the screenplay, which is based on a draft from Jack Donaldson and Derek Elliot. 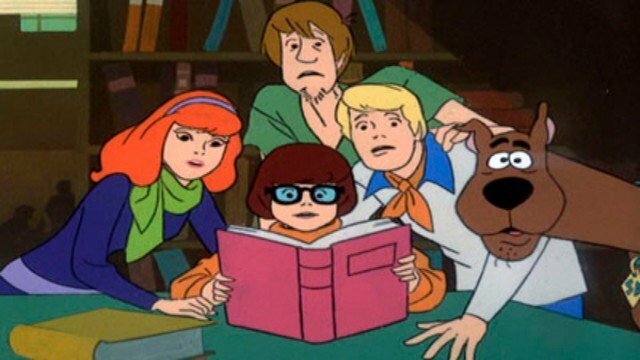 Scooby-Doo and the Mystery Incorporated gang first appeared on Scooby-Doo, Where Are You? in 1969. Scooby has gone on to appear in numerous series, comics, direct-to-video movies and two theatrical films. The mystery solving canine and his friends have been reinterpreted and enjoyed for generations. Columbus’ film will certainly follow suit and be the most ambitious reboot since the 2002 live-action Scooby-Doo film. WAG also announced a future Tom and Jerry film. This will be a combination of live-action and animation, and it will begin shooting in 2019. The warring cat and mouse will be animated and interact with the real world. True to their cartoon origins, Tom and Jerry will not speak and no actors will be cast to voice the title characters. Warner Bros. is in negotiations with Tim Story to direct the film. Story recently finished a Shaft reboot for New Line and he was offered this cartoon based film thanks to his love of the characters. WAG is also working on Wile E Coyote vs ACME, and a sequel to Space Jam starring LeBron James. Both movies will also be a mix of animation and live-action. Do you think Spike or Granny will also show up in the Tom and Jerry movie? Which monsters do you want to see in the Scooby-Doo movie? Let us know in the comment section below! Tags: Chris Columbus, Scooby Doo, Tom and Jerry, Warner Animation Group, warner bros.